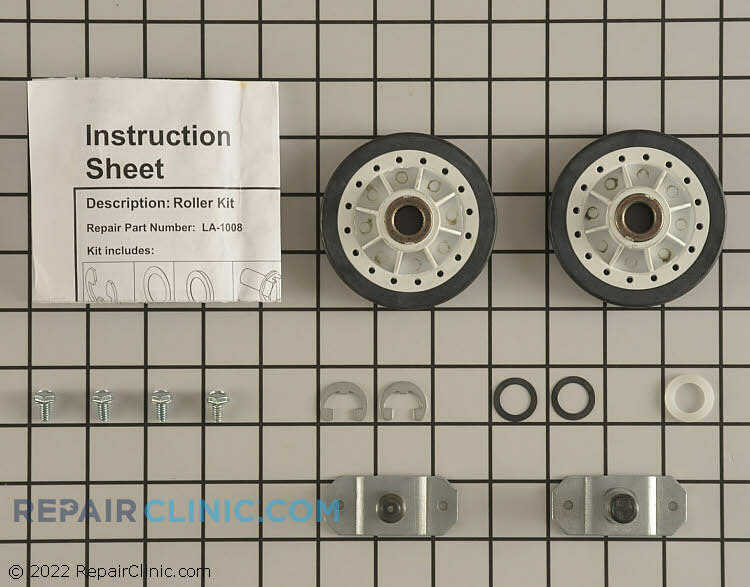 Dryer drum support roller kit with axles and mounting screws. The kit has been updated; it has 1 plastic spacer that is the same thickness of 2 old spacers. 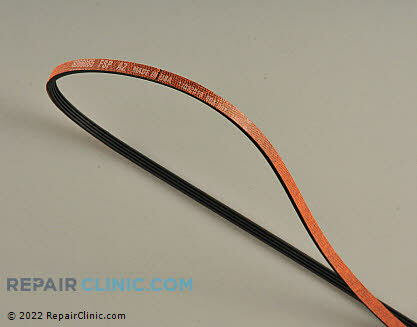 Consider replacing the drum belt while the dryer is apart.